Coming to my house, people inevitably say “Wow, you have a lot of books!” or “You must love reading!” (which just amuses me to death because when am I NOT talking about books?). I have four bookshelves in the living room, one in the kitchen, two in each kids bedroom, and a huge one in the master bedroom. They are all overflowing with books. Books fall off at the least provocation. It really is likely that we have to many. The problem lies in disposing of them. For the most part, I don’t buy books unless I know I’m going to love them and so how do I get rid of books that I love? How does anyone do this? I’m really asking this as a question, people. 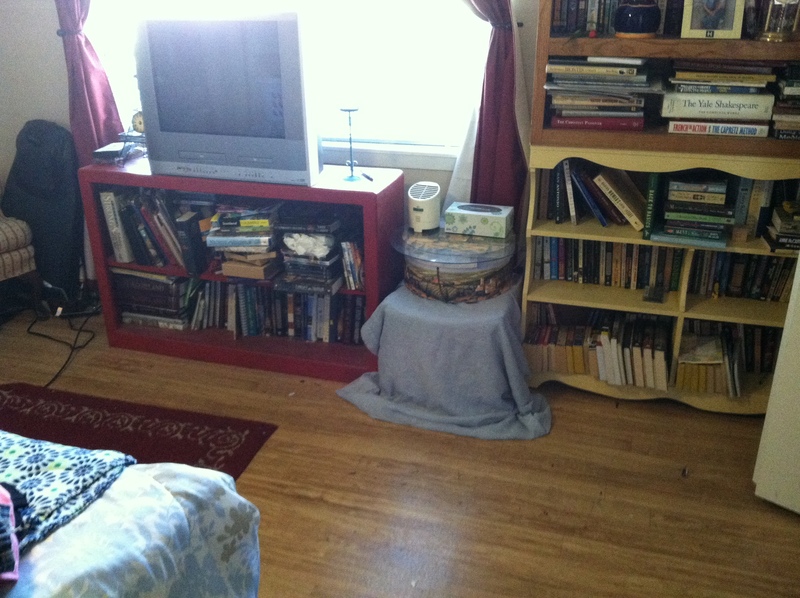 I want to know: how do YOU get rid of books? Here’s the thing: I have a couple bags of books I was willing to let go of. Most of them are Nick’s or the boys or things we purchased to meet some end, like Puppy Training or Tiger Cub Scouts guidebooks. But MY books? I just can’t get rid of them. I tried just tossing a few into the bag without thinking much of it. I let them sit there and then I looked at the holes on the shelves and the empty spot looked sadly back at me and I took the books out of the bags and put them back. These aren’t inanimate objects. There are whole lives in these things. Lives of the characters, places I’ve been in my mind, events I’ve lived through. And not just things and people and places and events that are written about. Re-reading these books reminds me of where I was the last time I read them. People that interrupted my reading, events that took place while I was reading, places that I holed up in a corner and read in. So I’m re-reading some of the books, trying to remember why I’m holding on to them so tightly, trying to say good-bye to some dearly loved “friends” that I’ve spent years looking at on my shelves. And I can’t get rid of them all. I’m not trying to, I’m just trying to get it back to manageability. Trying to make space in my tiny, tiny house for other things that are important to us, like all our musical instruments (four musicians times at least two instruments apiece), and our Lego and craft creations, and our collection of things we’ve brought back from places we’ve visited and loved. These are all important, too. July 25, 2014 Lisa H.
I promise I do other things than read! No really, I do. And I will update about them tomorrow, once I’ve offloaded photos and videos and put away the dishes and laundry from the weekend. 23. Embers by Laura Bickle was one that I liked pretty well. It was interesting to hear about the character’s past and the way her magic works. I would read more of this series. 24. Housekeeping by Marilynne Robinson was given to me by my friend EH for World Book Night. She loves this book, as do I, now. It’s fiction; one of those slow, lyrical, wandering books where it feels like nothing happens, but a lot of things do. Kind of the story of how one family falls apart, all from the point of view of the latest girl to fall apart. I really loved it. 25. Messie No More by Sandra Felton is slowly changing the way I do things at home, which is amazing. I am learning the how’s and why’s behind my housekeeping style and it’s been fascinating. She explains several different ways/personalities/mental blocks that people get stuck in. It has questions for you to answer at the end of each chapter. I highly, highly suggest this book to anyone stuck in a rut. 27. The Survivors Club by Ben Sherwood is non-fiction and tells stories about how people survived amazing catastrophes, accidents, and injuries and then how to apply that to events that might happen to you. I haven’t finished it yet, but it’s been eye-opening. Lovely little two-books-in-one, each told from a main characters viewpoint. My only problem? The “unique accordian style binding” that was touted as a feature was actually a bug. It was impossible to read while sitting in a chair, much less reading in a chair while kids wanted attention. Also, I didn’t want to read this story twice all the way through, so I kept flipping back and forth between the stories. It was cute, but annoying. I started this book yesterday after coming home from piano lessons with the kids and finished it by 11pm, reading pretty much continuously, except for dinner, snuggling kids before bed, and trying to watch Eureka while finishing it. It was really, really good. So good, in fact, that I’ve already been to the author’s website to see when the next one comes out – and it turns out there are two more books, already out! Must find them. I really don’t like zombie stories, but these are so good. I’ll just go ahead an list it now, to put the lie to the title of this post. 12. 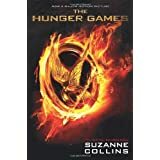 Reread The Hunger Games in time to see the movie. 13. 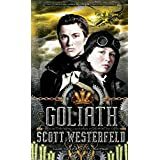 Finally read Goliath by Scott Westerfeld, after putting it off forever because I was scared I’d drop a cup of tea in it like I did to Behemoth. 14. 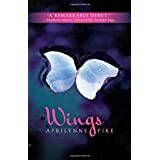 Finally finished Wings by Aprilynne Pike, which I can’t remember where I got it in the first place. 15. 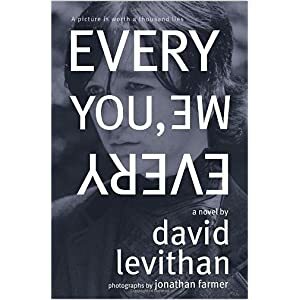 Scarfed down Every You, Every Me by David Levithan & Jonathan Farmer in one evening as I really, really needed to know who the crazy person was. 16. 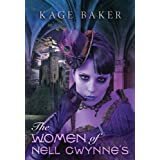 Now reading The Women of Nell Gwynne’s by Kage Baker. The cover really is that purple. Love it! RA Guy’s Book Club on the book: “How To Be Sick” by Toni Bernhard.